Company ROI: Even if you get a good quote on a used machine, be sure to do an ROI analysis before committing to a purchase. It would be illogical to buy a machine that will meet your production needs, but not bring in any profits. Also note that you will need to budget for any inspections, service repairs or missing tooling. Keep in mind that many dealers offer financing options that could be right for your business. Serviceability: Before buying a specific machine, ask the dealer if the machine is still serviceable. As CNC technology evolves, older machines and brands can become obsolete. If they were to malfunction, repairing them could be extremely costly or even impossible due to the lack of qualified technicians. Ask if the original equipment manufacturer (OEM) is still around and see if they service your specific machine. 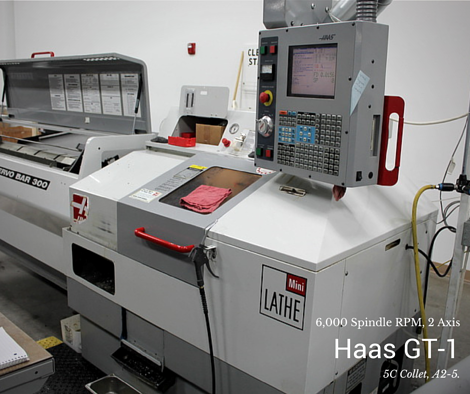 If not, it may be best to look at other used CNC machines that will meet your business needs. Machine Inspection: Before committing to a purchase, it is highly recommended that you get a service inspection of the machine done by a qualified technician or certified rebuilder. While this will contribute to your initial overhead costs, an inspection will save your business time and money by pointing out any issues that a machine will have. Furthermore, having an inspection done can give you leverage when negotiating a price with a dealer. Machine Tooling: Make sure you know what your tooling requirements will be for your machine. Ask and see if they are included in your initial purchase or if you will have to buy them separately. If they are not included, be sure to ask your dealer about any tooling packages, as they often work with the OEM and can offer you discounted packages. Warranty: When speaking with a dealer, inquire about any warranties. Many companies offer basic warranties for used machine purchases. Usually, this will be in the form of a start-up guarantee that covers basic machine components. Buying a used CNC machine does not have to be an overwhelming process. After doing your ROI, contact a reputable dealer and ask any questions you may have. Also, be sure to find a certified inspector to ensure your machine will work upon arrival (a dealer can help with this). Finally, inquire about tooling and any warranty policies. A good dealer will help make your purchase hassle-free. If you need help finding the right used CNC machine, MMI can help. Click below to learn more.